Ionizing Water Filtration Media in Bags 1 cu.ft. Ionizing and pH balancing Multi-Media Mix. It is the latest technology in water balancing that evolved from standard calcite acid neutralizing. Ionizer mix will improve pH even in tough water conditions. 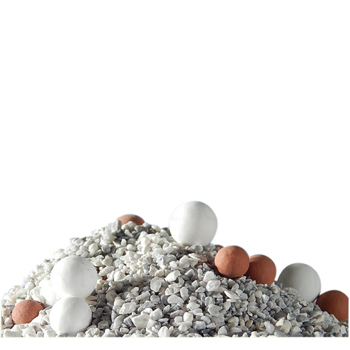 Consists of magnesium oxide, calcium oxide, white ceramic balls, tourmaline balls and infra-red balls. Designed to increase pH and remineralize acidic water, or be used after Reverse Osmosis systems. It is a proprietary mix that will increase pH in various water conditions, such as acidic water, high alkalinity or after the Reverse Osmosis Systems. It is designed to dissolve minerals. 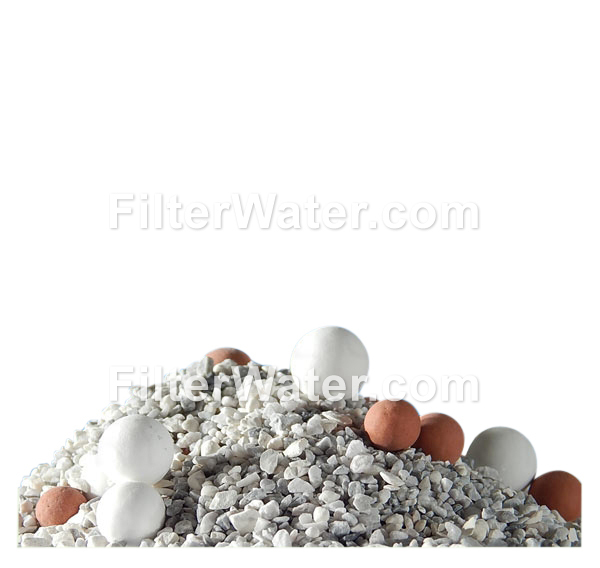 Ionizing media can be used for both residential and commercial water filtration applications.